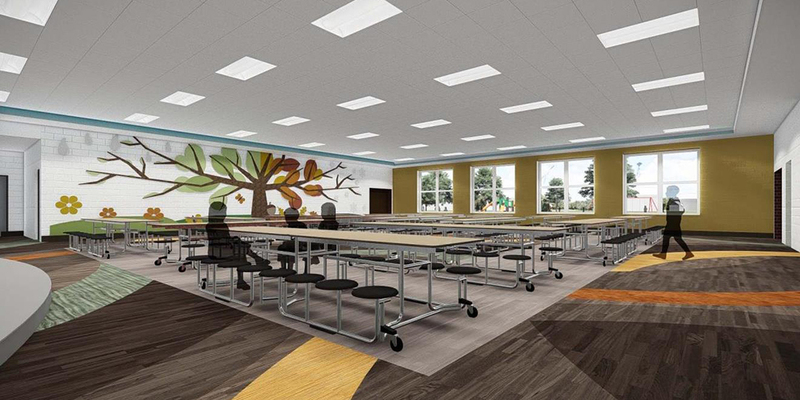 After completing four previous bond projects totaling more than $175 million in new construction, additions and renovations, Granger was selected again in 2014 to plan and implement the district’s next major Facility Improvements Program. We worked closely with the SLCS Administrative Team and their Citizens Committee to develop the bond campaign strategy, coordinate the Citizens Committee’s efforts and help pass the $64.5 million Bond in May of 2015. During the summer of 2016, Granger completed additions and renovations to all 13 buildings throughout the district while also constructing a new 72,500 s.f. elementary school. The new elementary school will provide classrooms divided into three wings, a gym, media center and music, art and resource rooms.